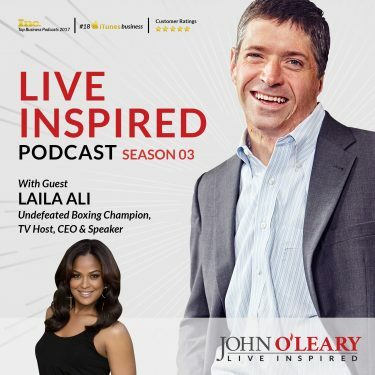 Laila Ali is a fitness & wellness guru, podcaster, author, undefeated 4-time boxing champion, has appeared on Dancing with the Stars and Chopped and is the daughter of Muhammad Ali. Today she shares vulnerably her path to all that she has accomplished in her 39 years – and WOW is it a lot! Laila is one of the most focused, driven and loyal people I’ve met and you are going to love her story. My mom taught me how to be consistent through her example. Everyday I saw her working out and eating a plant-based diet. My dad taught me through his ‘champion within.’ When he got Parkinson’s, he was an example of how to live your life with a positive mind and do things you want to do despite illness. It’s all about what you have in your mind. He didn’t let it stop him mentally. When Muhammad Ali saw his daughter fight, it made him realize it is a women’s sport too. Learn how to be you and do not let others define you. I don’t care what level you’re at economically or in education, people are always concerned about what others think. We sometimes make decisions based on that. Stop doing that and do what’s in your heart. You only have one life to live. You have to make a decision right now to go forward or backward. Things happen in our lives to teach us lessons and get bigger and stronger. Accept it and move on. The more you separate yourself from the people in your life causing you trouble, the better you are going to do. Being a powerhouse doesn’t mean you don’t make mistakes or have moments when you feel weak. We are all going to face those things, but it’s about having the courage to keep going. Everyone has it within them, that’s the only difference between myself and others. It’s a matter of tapping into your self confidence. You just have to believe for yourself. 1. What is the best book you’ve ever read? Five Love Languages was so helpful in my marriage and relationships in general to realize people share love differently. 2. Tomorrow you discover your wealthy uncle shockingly dies at the age of 103; leaving you millions. What would you do? Invest into public school systems. I don’t like how kids in certain areas don’t get a good education. 3. Your house is on fire, all living things and people are out. You have the opportunity to run in and grab one item. What would it be? My hard drive because it has all of my photos and important documents. 4. You are sitting on a bench overlooking a gorgeous beach. You have the opportunity to have a long conversation with anyone living or dead. Who would it be? My father. By the time I had things to talk with him about, he had Parkinson’s and couldn’t really talk. I’d want to talk with him about parenting and what things in life he would have changed and done differently. I would want to hear from his mouth, was he proud of me? My dad always told people he was proud / liked to make people feel good. I would ask him if he was really proud of me. 5. What is the best advice you’ve ever received? When people show you who they are, believe them the first time. If you have good discernment and intuition and someone shows you something in a relationship, friendship, business relationship – and you see something is off… They are showing their character. Those little red flags are there. You gotta listen. 6. Looking back, what advice would you give yourself at age 20? Take the time when you’re traveling and fighting, take time to enjoy it and take it all in. Don’t be so focused and uptight. I missed out on being young and enjoying life. I went to do my business and left. 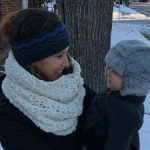 Now I have kids and can’t travel as much. 7. It’s been said that all great people can have their lives summed up in one sentence. How do you want yours to read? Takes great pride in being loyal, authentic, hardworking and caring about others. Those are the things that are really important to me and it’s important that others see these qualities too. If you enjoyed today’s episode: Subscribe (automatically get new episodes), rate, review & leave a comment (help spread the word!) anywhere you get your podcasts. Laila I love how you are so down to earth. I am so moved how in your life you think out your decisions and how they will effect your life and family. Nothing seems more important to you then being the best version of your self for your family. You have such purpose and thought into your choices. I love how you take any negative situations and learn from them and use them as a tool to share with others. You have an Amazing voice that you are using to bring change for the good. I think my take away from listening to you is to be sure of what your goal is and know you need to prepare and then go after it. You are the best example of Being Intentional. Thank you for your words and truth. 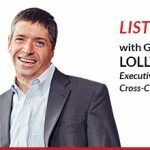 I would love to figure out the podcast thing and listen to you. Thank you again. Laila – use a cloud service to store your photos so you won’t lose them from your computer’s hard drive! 🙂 Also, check into the Love & Respect Ministry (www.loveandrespect.com) to learn more about how to improve your marriage. Thanks for sharing!